As noted in earlier posts, we recently started Evelyn on the Ketogenic Diet. This diet is (yet another) treatment to try and reduce seizures. At this point, we've worked our way through about.... 7 different medications (phenobarbital, fosphenytoin, Topamax, Klonopin, Depakene, Keppra, Zonegran), without significant impact on Evelyn's seizures. These are largely the more benign medicines with respect to side effects. As those haven't worked, before we go on to the "less benign" medications, we're giving "the diet" a shot. It's essentially the Atkins diet on a whole different level - low-carb/high-fat/high-protein to the extreme. It's so low-carb that we even had to replace our baby wipes with ones that specifically did not contain glucose, and ditto for any other commonly-used "baby product" (lip balm, lotion, soap - you name it). Anyway, the theory is it puts your body into ketosis (just like the Atkins diet), which causes your body to produce ketones. The theory (as I best understand it, and may be incorrect) is that these ketones bind with amino acids in the brain when the brain begins using them for energy (in place of glucose), and... does something to the chemical makeup of the brain that reduces seizures in about 50% of people, with about 30% of people showing a 90% reduction or more. Part of what we have to keep track of is Evelyn's ketone levels, to assure they're not too much, and not too little. These are measured through a urine test. At any rate, as Evelyn's a baby, the diet's actually easier (hah) to maintain, as for her, it's just a special formula; KetoCal. For older kids, you can imagine that it gets much more difficult to find "regular food" that meets the fat & protein needs of the diet. As of this writing, Evelyn's been on the diet for right at a week. She's just now hitting the full level of ketones. With any luck, we should be seeing results (if they're going to be seen) within a few weeks, or maybe a month or two. And if so, we can begin ramping down some of her other current meds, which would be nice. But, as with everything Aicardi... Time will tell! Generally-speaking, we're all doing pretty good. Evelyn's seizures are still running anywhere from 30-50 a day (again; typically 30s each), and we have been seeing some new types of seizures - but she's been much more alert, overall, which has been nice. Hey guys! Last week I worked on a video for the Epilepsy Therapy Project, which helps raise money for further research of epilepsy and finding new therapies. One of the people there was Chanda Gunn, the goaltender for the U.S. Hockey team. She was diagnosed with epilepsy when she was 11 years old. She told me about this diet (ketogenic diet) and firmly believes in it-- as it has worked for her. I told her about the UTUBE link Daniel had about the guy that traded in all his sisters meds for some sticky icky a.k.a marijuana and how it reduced the women's seizures. She looked at me like I was crazy. For obviously this was not something she had ever heard of. 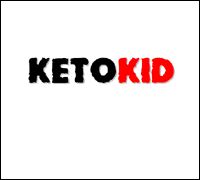 My son has been on a ketogenic type of diet because of epilepsy for some time now, and we were pleasantly surprised with the effectiveness of this diet. I understand the work and effort which is needed to maintain this type of nutritional program, with so many ingredients being not allowed, and I respect your effort to inform people about this diet.